Geologists use the terms “mafic” and “felsic” to classify rocks into specific groups. This article aims to sift through the rubble and find out how mafic rocks are different from felsic rocks. In geology, mafic is a term which describes an igneous rock or a silicate mineral rich in iron and magnesium. The term mafic is a combination of the words “magnesium” and “ferric.” The majority of mafic minerals are dark green or greenish black and are medium to coarse-grained. Minerals that usually form mafic rocks are clinopyroxene and/or orthopyroxene, olivine, biotite, and amphibole. Mafic rocks usually found in abundance include dolerite, gabbro, and basalt. Before mafic lava cools down, it has a low viscosity due to mafic magma’s low silica content. As water, along with other volatile matter, easily and gradually escapes from mafic lava, volcanic eruptions composed of mafic lava explode less violently compared to some lava of different compositions. 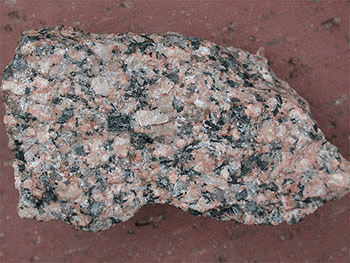 Felsic rocks are mostly light-colored and the most common type is granite. Felsic rocks are composed of minerals such as quartz, orthoclase, muscovite, and feldspars. When it comes to chemistry, felsic minerals and rocks are at the opposite end of the elemental spectrum as mafic minerals and rocks are. Phaneritic felsic rocks are named using the QAPF diagram. A phaneritic felsic rock is composed of crystals large enough to be seen with the naked eye. It is also common for the species of mafic minerals to be used in the name, such as pyroxene tonalite or hornblende-bearing granite – the term “granite” indicates feldspar and quartz content. 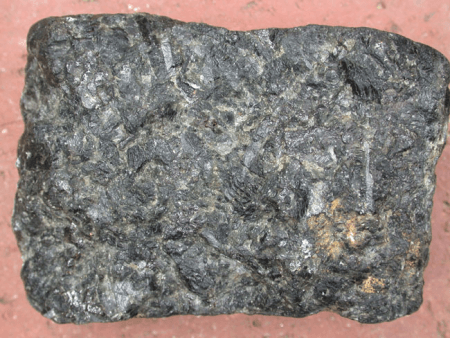 Thus, the basic name of a felsic rock is determined by the rock’s texture. So what’s the difference between mafic and felsic? In geology, these terms are descriptive of the chemicals that make up igneous rocks, magmas, and silicate minerals. “Mafic” is a term that describes igneous rocks or silicate material characterized by a rich content of iron and magnesium while felsic rocks are igneous rocks that are rich in light elements such as oxygen, aluminum, silicon, potassium, and sodium. In terms of chemistry, this means that mafic and felsic minerals and rocks are at opposite ends of the elemental spectrum. The term “mafic” combines the words “magnesium” and “ferric” and are usually dark-colored rocks. In contrast, felsic rocks are made up of a combination of feldspar and silica and are typically light colored rocks. Here’s a lesson in geology discussing mafic and felsic rocks.